Well good afternoon to you hooky friends. You're so welcome to join me on my little happy scrappy journey. Today I should like to chat to you about selecting yarn for your Happy Scrappy Scarf. Yummy, scrummy yarn! Now, before I continue, I should like to stress that all opinions and thought processes detailed here are mine. I'm not an expert, I'm just a girl who has been crocheting for five years, simply learning through my own experiences (and mistakes!). I might do or say something that contradicts what you've read elsewhere or your own already-established preferences. Then again, I may not. 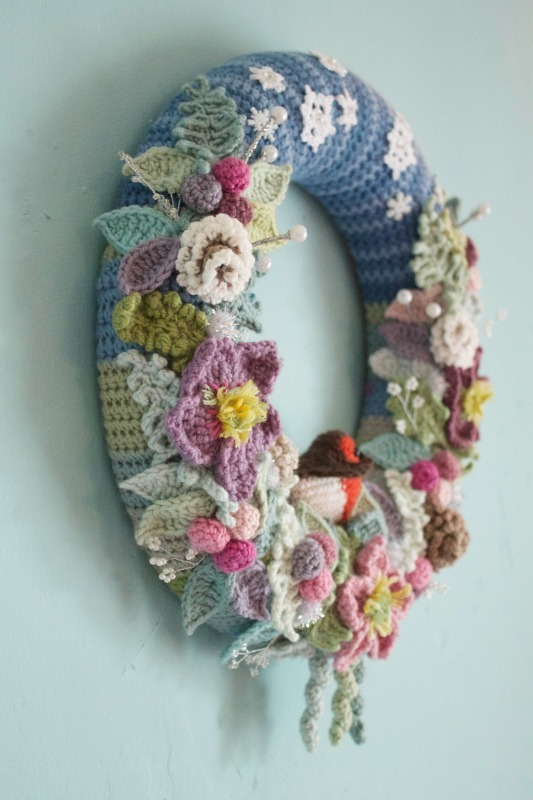 Once you've learnt the basic crochet stitches, there really is no right or wrong. Despite having my own very definite modus operandi, it always really interests me to hear about the different ways people do things. Yarn thickness. Ideally you want yarns of the same weight. The 'recommended hook size' printed on the yarn band will be the best indication of thickness. (A quick search of one of the larger online yarn suppliers will provide this information if your yarn band has long since been thrown away.) 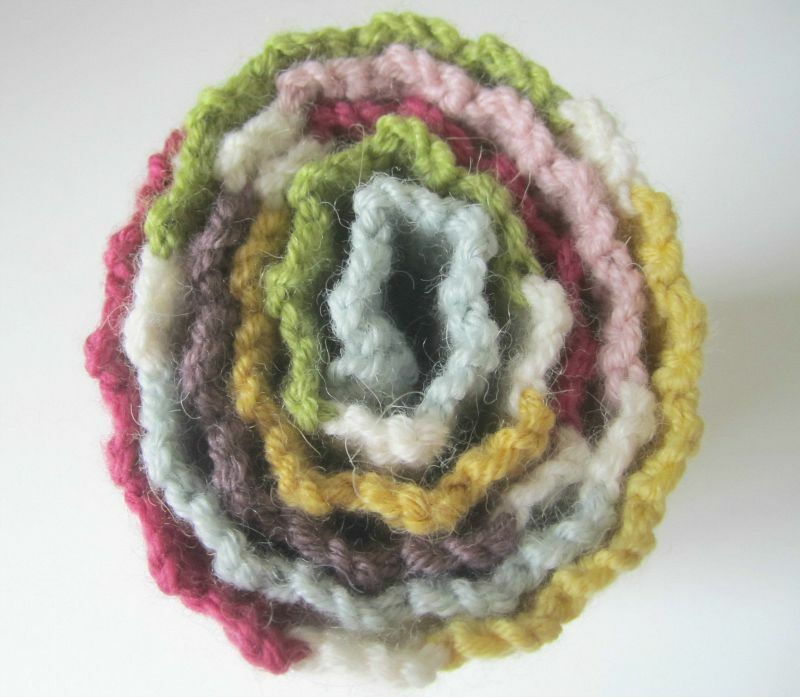 If you use differing weights of yarn, you will struggle keeping a consistent tension or nice straight edges. 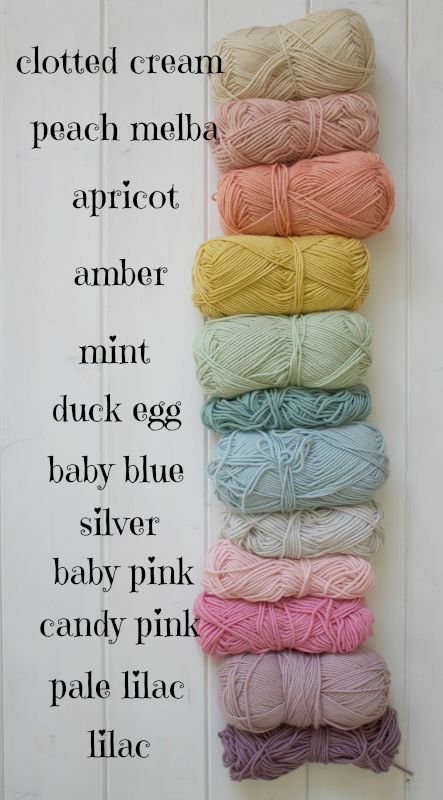 Yarn ingredients. Acrylic, cotton, wool and silk not only feel different to each other, but they behave very differently too. It may be how they stretch or drape, it may be how they wear over time. They also require different after-care. You wouldn't pop your favourite cashmere jumper or silk undies in the washing machine with your cottons, would you? Secondly, I don't know if you remember my Fruity Scarf? I loved that scarf. I still do. I crocheted it with Rooster Almerino dk which is 50% alpaca and 50% merino wool. It's wonderfully soft against my skin and drapes beautifully but it absolutely STINKS if it gets wet. The first time I wore it, I got caught in a downpour and I smelled like I had a soggy labrador around my neck. Pooey! 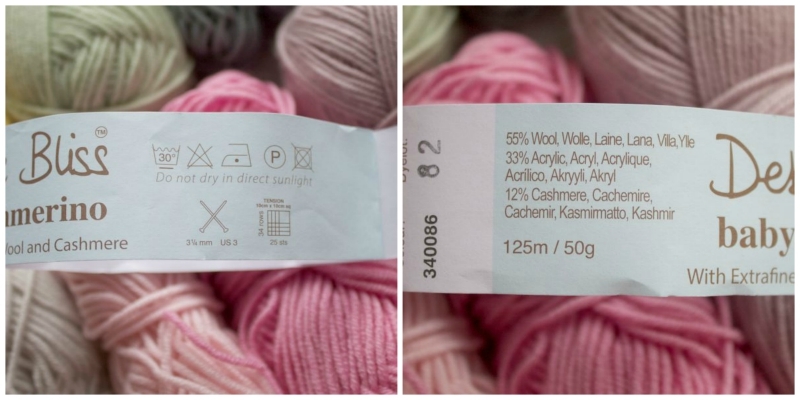 For this reason, I'm now quite wary of selecting yarn with a high wool content when it comes to making something I intend to wear. 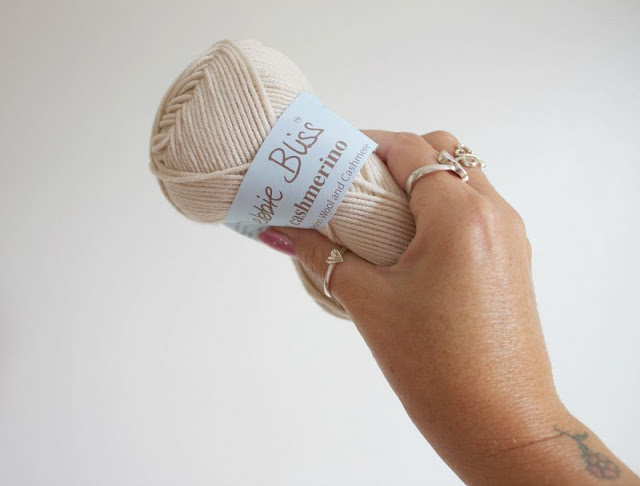 I've used Debbie Bliss Baby Cashmerino a lot (most recently for my January Infinity Scarf) so am confident it doesn't pong to high heaven if it gets wet! It's my absolute favourite of all her many makes because I just adore the colours. I'm pretty sure she would admit they're not her usual selection. I've recently been watching (and thoroughly enjoying) a new-to-me podcast, Knitting Expat. I think (hope) I'm right in saying that Mina generally doesn't seem to 'do' pink. (What???) Her favourite colour combination is blue and orange. She's so lovely and watchable that I'm more than happy to overlook this madness …! ;-) As I said, subjective. How boring would life be if we all liked the same things? It's therefore no great surprise when I look at the pile of yarn I've selected for my Happy Scrappy Scarf so far. Twelve colours plus the raspberry (which has just this minute been delivered by the Postman! Hooray!) They may change a little as I progress, I'll see. 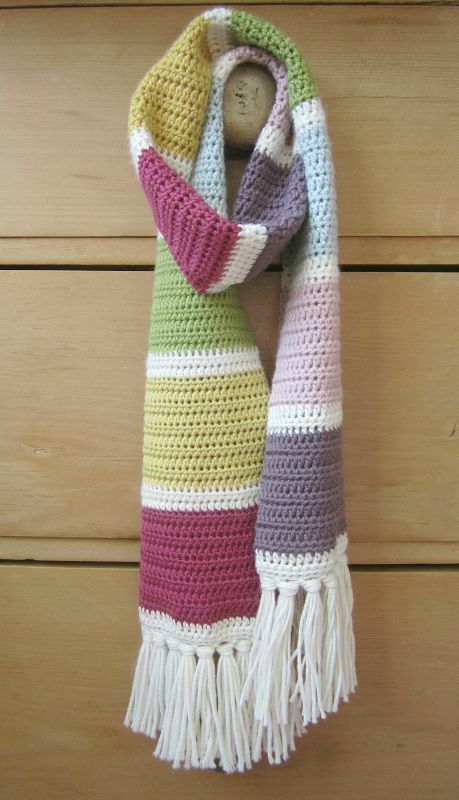 As I've said, this is to be an easy scarf that is a celebration of all of my favourite colours. 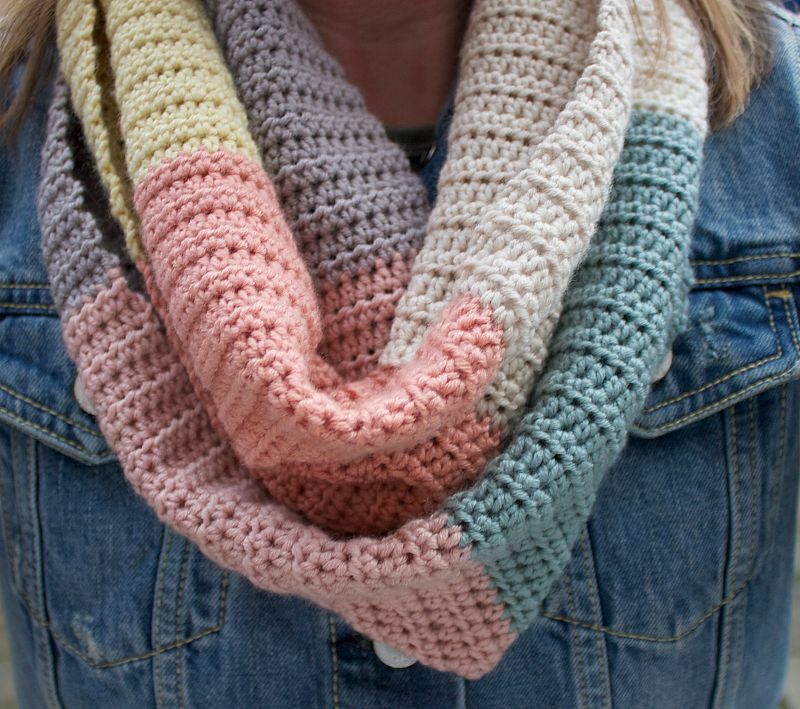 It's to be crocheted in stripes of double crochet (US single crochet) using a 5mm hook (despite what you see on my yarn band above - I'll explain why in tomorrow's post). It fascinates me how different they are to each other. I think I'm favouring the fourth one. I popped the five different combinations on top of each other in the first 'scarf' below to produce a 100% random striped pattern. The second 'scarf' is the fourth square repeated five times. It looks just as random at first glance but there is a pattern which I think appeals to me more. I have to say, they both look a bit gorgeous though don't you think? Design Seeds is also a fabulous resource for inspiration, particularly if you are wanting to use fewer colours. Well, that's about it for today's post. If you have any yarn-related comments or questions or if you think I've overlooked something, do please give me a shout. Tomorrow I shall go into the construction details and officially kick off the 'Happy Scrappy Scarf-A-Long' for those of you who have expressed a desire to make your own. Both your scarves are lovely colours combinations. I look forward to seeing how the latest project is going to turn out. Brilliant information on colour and yarn, some things there that I never would have thought of (must drench my newly made cowl to see if it stinks before wearing out!!!). I too was immediately drawn to the fourth block, but I'm having lots of problems as I don't seem to have a signature style or colour pallette like so many amazing bloggers (yourself included, natch). I have always loved bright colours, and so Lucy's way was always my favourite. But in the last few months I've found myself drawn to more muted colours, and now I am confused about which I like the most! Makes yarn choosing so difficult now! I love your January Infinity Scarf. Looking forward to the rest of the series. Interesting! Thank's for your tips! I'd choose the second scarf, it seems a little bit easier to the eye then the left one. But then again, the left one is smoothly 'lighter' then the other one. PS: When I make something with stripes, I just start. I choose the colours by looking at the precious 2 stripes. Most of the time that really works, because I have the colourtriangle in my head. But sometimes it turns out totally different then I expected. Luckily I like almost all colours and colourcombinations. Random stripe generator.....genius. I need to use this myself as I can spend forever deciding on the next colour when completing my own random projects. I like that there is a weighted option as well. I love your colour palette and can't think that I have my own preferred shades, although I do tend to buy blues and pinks. They need something to make them shine though and I don't always get that bit right. I've been digging in my stash and have some 4ply merino that might be good. No idea why I bought 4ply, I'm usually an aran girl....! You are so right, we all "get" different colours. 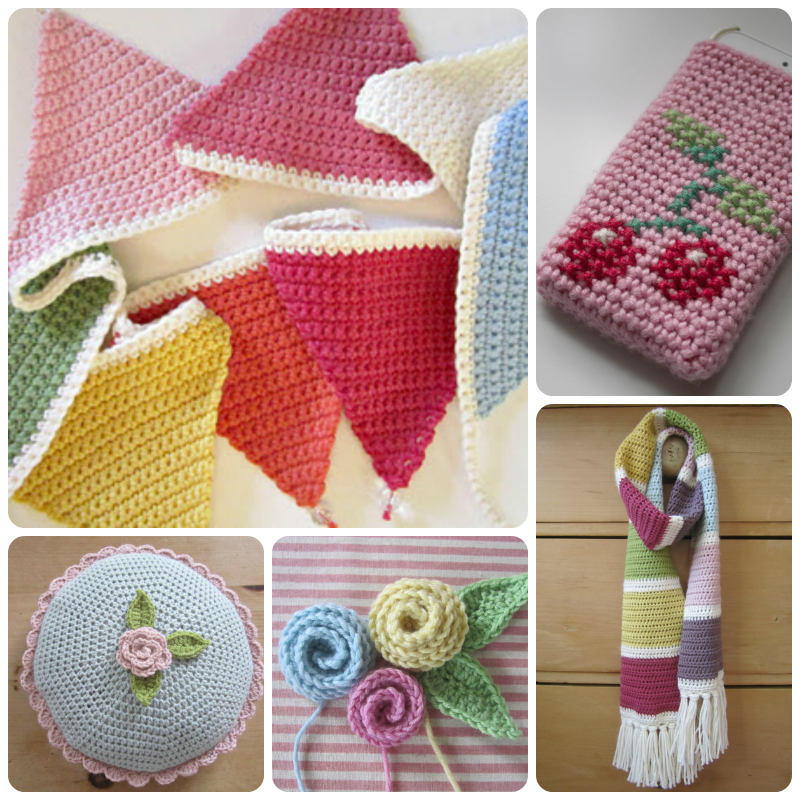 I LOVE all your stuff and I find them really calming to look at (yes I'm a nutjob), but I absolutely CANNOT crochet with pastel colours, I get all depressed and melancholy! Told you I was a nut job. I love strong colours, so if it's a strong shade of a pastel then I'll use it, I just can't do pale. I definitely laughed out loud at the 'rubbing wool on your cheek in the wool shop' part! Heehee!